Since its foundation, M&S has specialised in litigation and we currently regularly manage important cases on behalf of the corporate sector. Our skills in the area are wide-ranging; from litigation in specialist areas such as shareholder disputes, employment law, intellectual property rights, construction law, and family law to legal actions in the somewhat more conventional area of contract law, including any type of mergers and acquisitions. Our success in the area, which has indeed been the basis of our business, is to be found in our philosophy that highly specialised litigators and dedicated commitment are required to conduct and win cases for one’s clients. We have a clear and simple goal in mind when faced with any case we receive. That is to win. It is what we do best and when considering our experience and feedback from our clients, it is what we do well. Accordingly, we have acquired unique knowledge in all aspects of litigation and we are proud to say that we have extensive experience acting before all the courts in Luxembourg as well as detailed knowledge of all procedural rules that govern such cases. A lawyer skilled in a specific area is not necessarily the best to handle a dispute in the same area.  M&S has an independent dispute resolution group that focuses only on litigation as a separate discipline. Litigators say that a case is won by knowledge of the facts. We agree, but would like to add that comprehensive knowledge and communication of the facts have proven to be two sides of the same coin. Our track record provides us with the results to confirm that this approach to litigation is the key to success. We find it essential to include our client in all stages of decision-making when it comes to determining the most advantageous litigation strategy that will provide a successful outcome. Knowing full well that litigation can be both cost-intensive and draining on the parties involved, we are direct and will not hesitate to give an honest opinion on whether the case is worth pursuing and to explain the risks involved in bringing legal action. Our fundamental strategy is that a case should never be pursued merely for the sake of it. In collaboration with the client, we will always consider settling if such a settlement is in the client’s best commercial, legal and financial interests. M&S’ litigators have extensive experience in court procedures before all of Luxembourg’s court chambers. The firm is constantly conducting a large number of cases which means that we are always updated on the most recent procedural developments and practices. Our clients include many large multinational companies, but we also represent smaller Luxembourg companies, start-up companies and individuals.